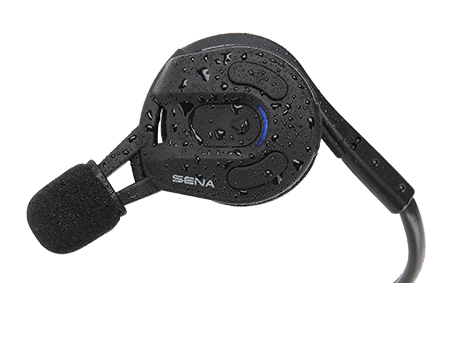 This water resistant Bluetooth® headset was designed to give you a stable, secure fit in any situation. Use the Expand to communicate from headset-to-headset, take hands-free phone calls, or listen to music from your smartphone. 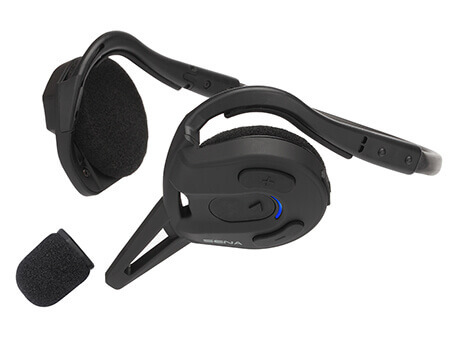 This water resistant Bluetooth® headset was designed to give you a stable, secure fit in any situation. 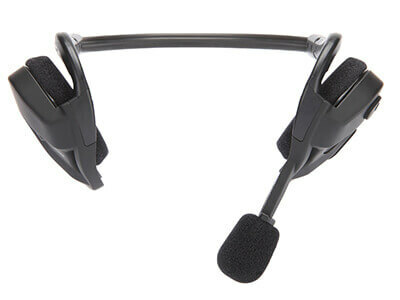 Use the Expand to communicate from headset-to-headset, take hands-free phone calls, or listen to music from your smartphone. No matter the situation, you’ll always enjoy crystal-clear sound quality. READY TO GO, RAIN OR SHINE. Built to be water and sweat resistant, you won’t have to think twice about keeping your Expand headset on your head as the weather rolls in. 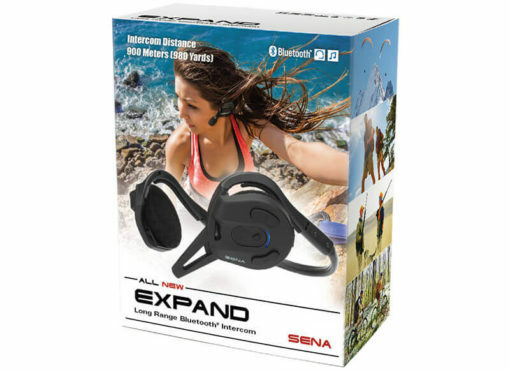 The Expand is the only Bluetooth headset with water resistance of its kind. 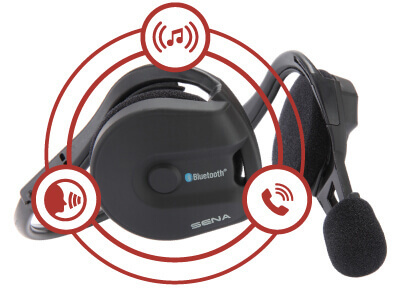 Bluetooth 3.0 technology allows for four-way intercom over a 900-meter (half mile) range. 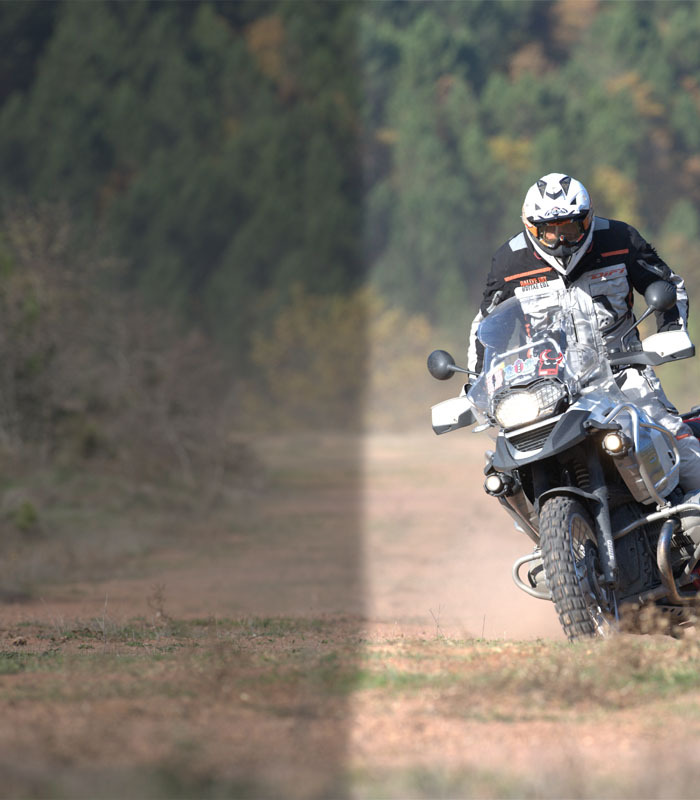 Advanced Noise Control™ ensures noisy outside environments won’t interfere, and each audio source has its own volume level which can set to your preference. Meanwhile, integrated voice prompts assist you with set-up and operation. Even if your companions don’t use Sena gear, Expand uses the Universal Intercom™ protocol, which makes your gear compatible with theirs, regardless of brand.